The LS60THa is a telescope for observing the sun in H-alpha, with 60mm aperture (no central obstruction) and 500mm focal length. An internal Etalon with advanced air-pressure tuning system “Pressure-Tuner” provides <0.7 Angstrom bandwidth. This “Pressure Tuner” system allows a more accurate Etalon adjustment than other systems. 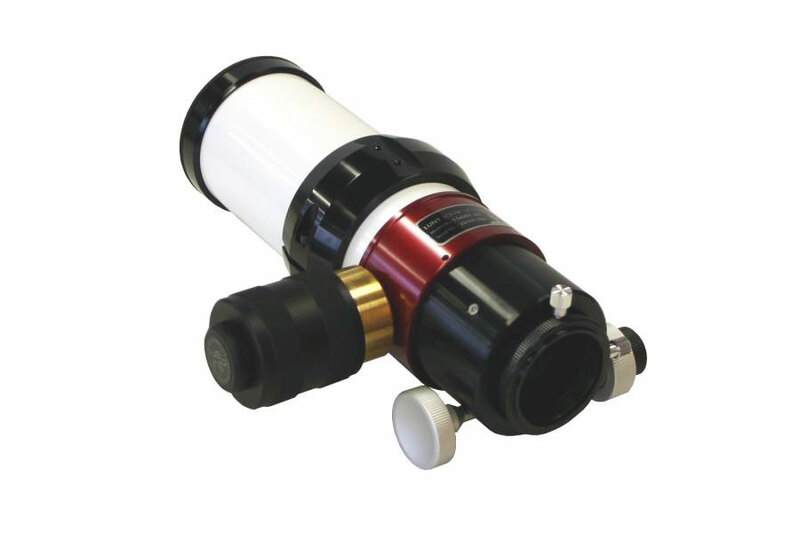 H-alpha Solar Telescope with 60mm aperture and <0.7 Angstrom bandwidth, with advanced air-pressure tuning system. Will be delivered without blocking-filter, can only be used with additional blocking-filter! This telescope will be delivered without blocking-filter. We offer many additional available blocking-filters in various sizes, in 90° star-diagonal, or straight extension-tube. You can use all these blocking-filters at this telescope. The LS60THa is a telescope for observing the sun in H-alpha, with 60mm aperture (no central obstruction) and 500mm focal length. An internal Etalon with advanced air-pressure tuning system “Pressure-Tuner” provides <0.7 Angstrom bandwidth. This “Pressure Tuner” system allows a more accurate Etalon adjustment than other systems. The “Pressure Tuner” system adapted the Etalon to varying altitudes and atmospheric pressures for always optimal performance. The Etalon is installed safely inside the telescope-tube. Παρακαλώ ενημερώστε με για την τιμή του προϊόντος LUNT SOLAR TELESCOPE LS60THA/CPT OTA (NO BLOCKING FILTER), με κωδικό: OPT-0551217.